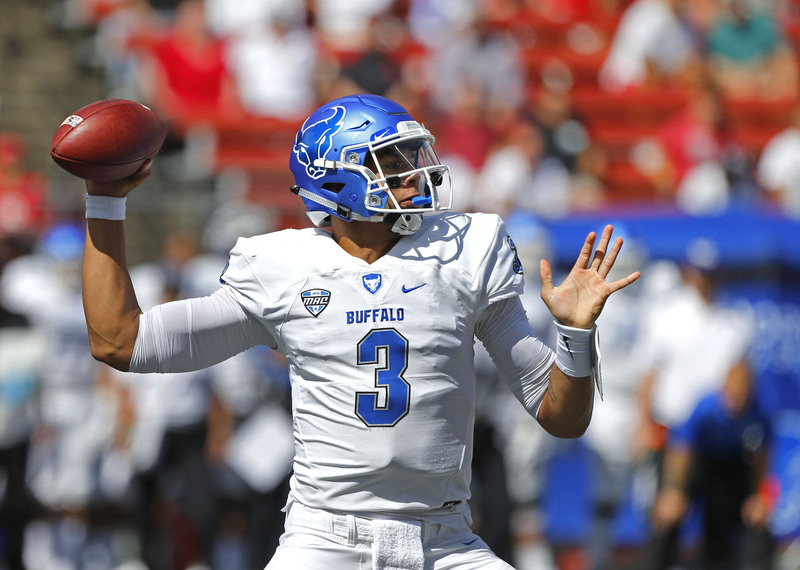 University of Buffalo quarterback Tyree Jackson is one of the more intriguing small-school prospects in the 2019 NFL draft. 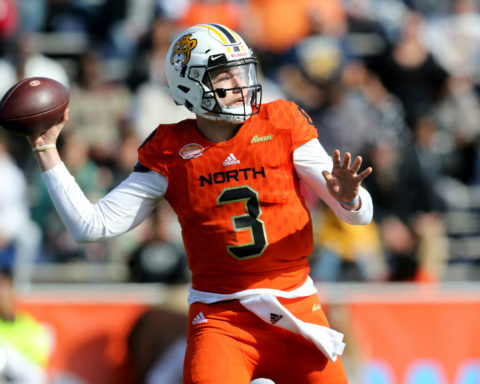 He was one of nine quarterbacks to participate in the Senior Bowl and, by most accounts, had an unremarkable week. Jackson offers rare size for a quarterback prospect. He measured in at 6070, 249 in Mobile; his size is both a positive and a negative moving forward. 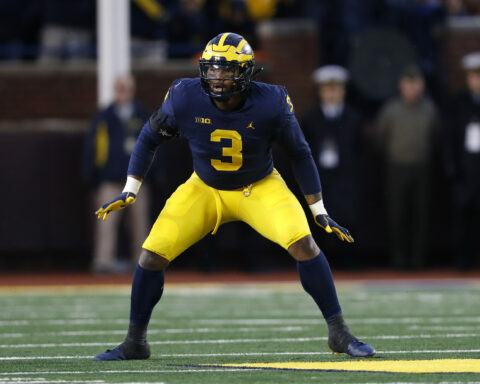 He’s big enough to take an NFL pounding and he’ll have no trouble seeing over his offensive line to find passing lanes to zip the ball through. But for as appealing as his height and frame are, they don’t come without some concerns. Jackson is a lumbering athlete. 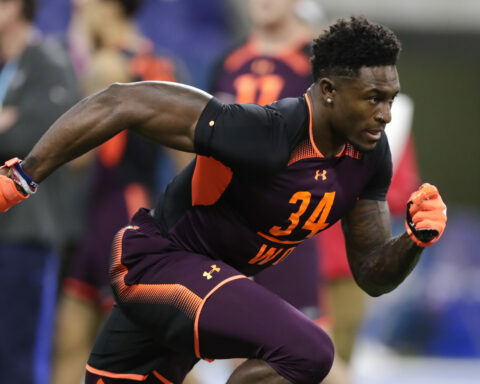 He’s not quick-footed and even though he’ll probably record a decent 40-yard dash at the NFL combine, his straight-line speed isn’t threatening. He’s similar to Brock Osweiler (Dolphins) in that regard. Jackson possesses a strong and live arm, but he’ll need a lot of work to take advantage of its upside in the NFL. 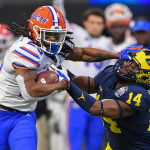 His film is littered with fastballs that consistently miss their target, and for an arm as strong as his, his deep passes often fall short of the intended receiver. He has a tendency to force long balls into coverage, too. He’s wildly inconsistent. His production at Buffalo is evidence of this major passing concern. He completed only 55.3 percent of his passes in 2018 and has only one season of 60 percent completion rate (2017). Part of the problem for Jackson appears to come when his early reads are covered. He has a little bit of panic in his game and while he isn’t a run-first player, he tends to get happy feet as things break down around him. As a result, his overall ability as a passer is somewhat stunted. That can be a fatal flaw in the NFL. 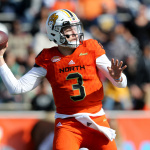 Teams searching for a developmental quarterback may decide to take a flyer on Jackson late in the draft, but his raw skill set and inconsistent film suggests he’ll sign with a club as a priority free agent shortly after the draft. He simply isn’t an accurate enough passer to warrant a draft pick at this point. 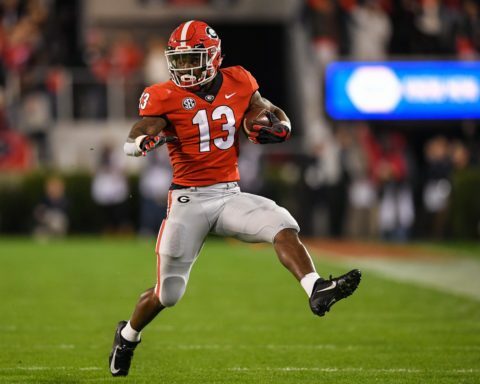 Previous Story Previous post: Is Georgia WR Riley Ridley worth a top-50 pick? 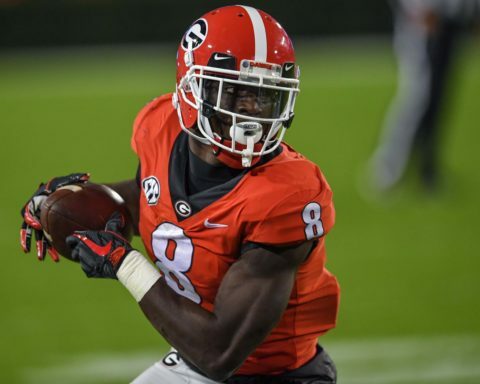 Is Georgia WR Riley Ridley worth a top-50 pick?